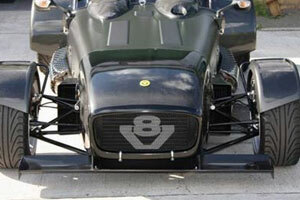 Reverie manufacture lightweight Carbon Fibre front wings for the Caterham 7 and CSR/Levante. Our CSR/Levante kit is specially designed to fit the CSR/Levante and the kit features a 1285mm wide front Carbon Fibre wing, Carbon Alloy honeycomb chassis mounts, Carbon cross brace and all mounts and fixings. 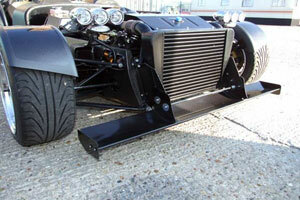 Our Caterham 7 front wing kit is an adaption of our successful universal Carbon Fibre rear wing kit that can fit to the front of the Caterham 7 and provide improved downforce and performance. 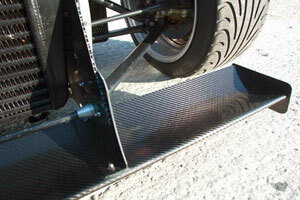 The wing is supplied with 1800mm width that can be trimmed to your requirements. We offer fitting at our premesis in Colchester, UK, please contact us first to discuss your requirements. All our front wings, splitters and spoilers are designed and manufactured at our site in Colchester Essex to ensure the best quality control and finished product.